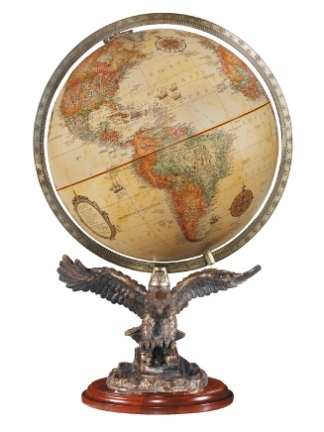 The eagle is taking flight in the Freedom Globe by Replogles! 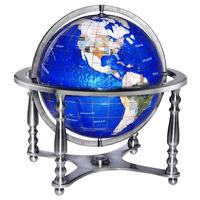 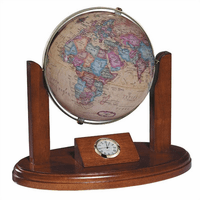 A 12' diameter antiqued ocean globe is set on a walnut-finish solid hardwood base. 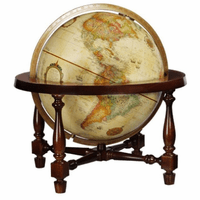 It is surrounded by a full, numbered meridian. 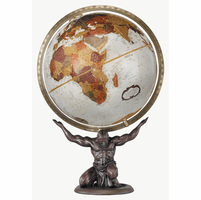 The globe is set on a stunning eagle in flight, created from resin with a bronze finish and gold accents. 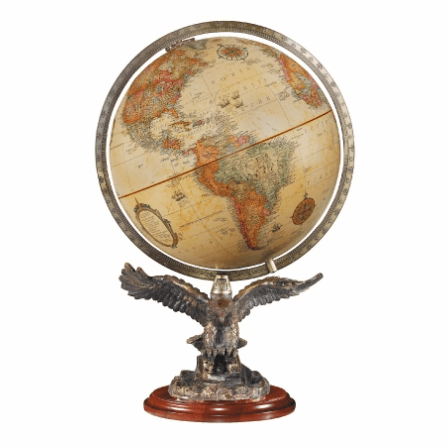 The fine detail of the eagle and the globe will make this a collector piece that anyone will be thrilled to display on the desk at work or home!